Varies, depending on how far you want to run along the boardwalk. 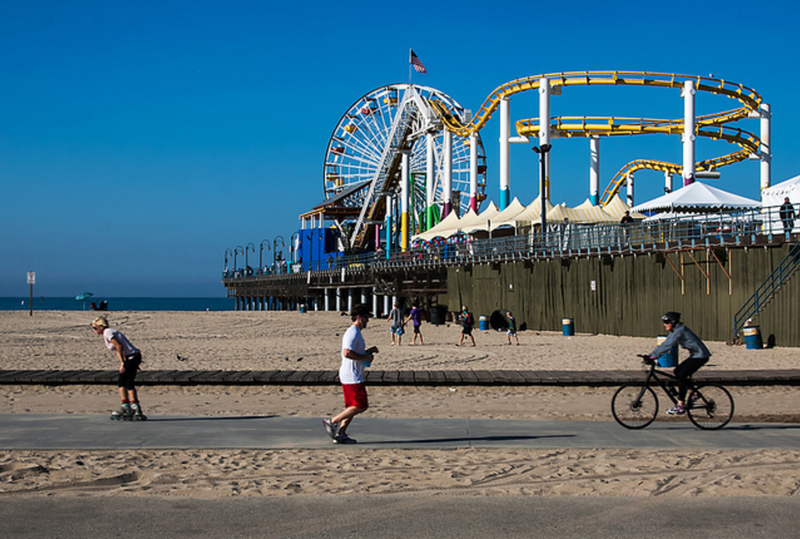 The Santa Monica Pier and the Venice Boardwalk are international icons that represent the beauty, grandeur, and exotic personality of California to those around the world who are new the state. For those of us who live here, we know there is a lot more to Los Angeles and to California than this touristy little haven. Having said that, a sunset over the westward facing Santa Monica beach is nothing to shake a stick at, not to mention unrivaled people watching. You’ll find more people watching the action than actually joining it, but the whole spectacle is quite entertaining. There is not too much to say about this path expect that it is a beautiful thing to be running on the beach. The pavement is even and flat, although it can sometimes be a bit crowded with runners, rollerbladers, tourists on beach cruisers, and long-haired Californians on skateboards. Some sections will put you right on the beach, with sand on either side of the concrete path. Others, slightly more urban, but the whole thing will put you right on the beach, watching the waves crash, surfers shred and dolphins jump (if you are lucky!) as you go about your workout. The iconic Ferris Wheel on the Santa Monica Pier is an international landmark you can check off your list of things to see even if you did not think you wanted to. The run itself can go in any number of directions. 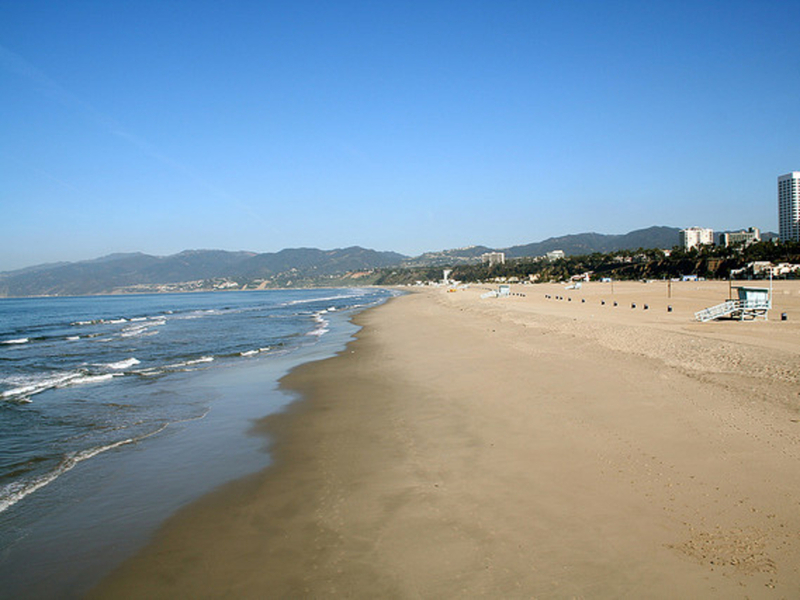 The most scenic option if you want to escape the crowds and really feel like you are getting the natural experience is to start at the Santa Monica pier and run north. This will take you along the boardwalk, known as Ocean Front Walk on a map, all the way along the beach until Will Rodgers State beach. This is the percent combination of sightseeing and ocean watching. 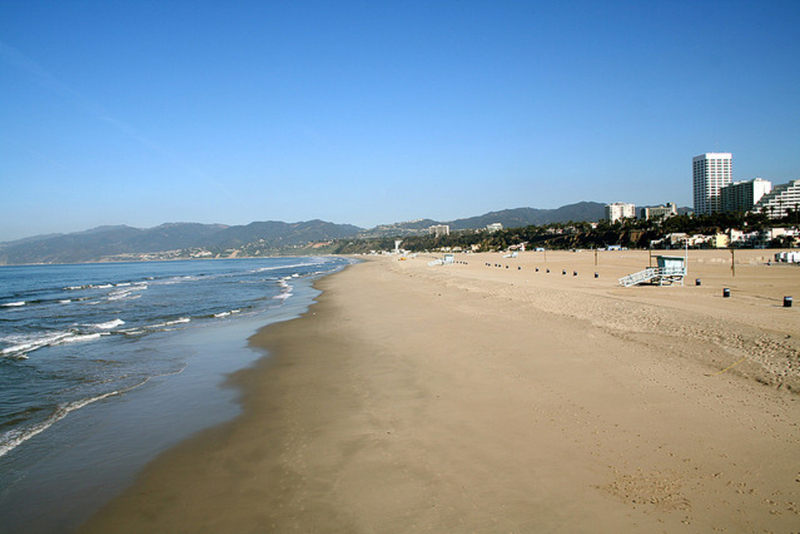 The run is about 4 miles each way along the flat beach and gives you an opportunity to relax on the beautiful Will Rodgers State Beach as a break. Tourist trap! But definitely worth a go if you’ve never done it before. Even the local Santa Monican will tell you this spot is one of their main haunts. Just make sure to run north instead of south and you should be able to feel like you made it to beautiful ocean beach, not the edge of a huge metropolis. Santa Monica is notorious for its parking troubles (but not as bad as Venice!). Your best bet is to keep your car in the Bay Street parking lot (fee) or find a meter somewhere near the beach in Santa Monica (although this can be tough). Insider tip: if you are an early riser, park any of the metered spots near the beach, and you will not have to fill your meter until 9AM.